Zecharia Sitchin's version of historical events was based on his subjective interpretations of Sumerian history obtained from many different sources, which involved both the primary need to understand and translate cuneiform texts, as well as the many other subsequent languages, which used these same cuneiform records as their sources of ancient history and religious control. Translating cuneiform as a historical source is still nowhere near an exact science, and what we find amongst so many specialists is a reliance on interpretations of the latest Akkadian versions of cuneiform written around 1,500 BC, which bear little resemblance to the original meanings and contexts used, when they were first written down, as much as 4,000 years earlier. 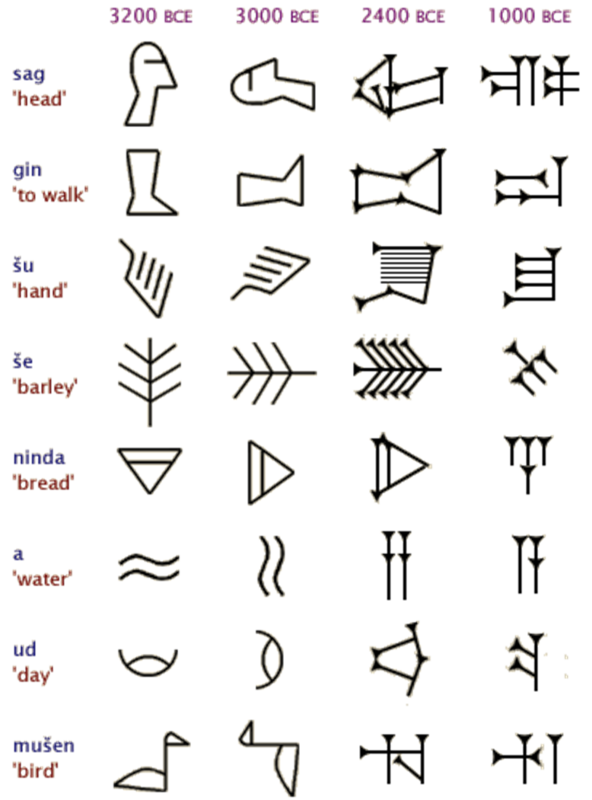 Cuneiform was written with the wedge shaped end of a reed, cutting into a wet clay tablet or cylinder, in many different shapes and styles for different purposes. It evolved over this long period of time under the direction of scribes in Near East, Mesopotamia, the wider Fertile Crescent and the Indus Valley, spreading outwards with the subsequent migrations of these people to all corners of the world, including Britain well before 2,000 BC. The cuneiform script underwent considerable changes over a period of more than two millennia. The image below shows the development of the sign SAG "head" (Borger nr. 184, U+12295). Stage 1 shows the pictogram as it was drawn around 3000 BC. Stage 2 shows the rotated pictogram as written around 2800 BC. Stage 3 shows the abstracted glyph in archaic monumental inscriptions, from ca. 4,600 BC, and stage 4 is the sign as written in clay, contemporary to stage 3. Stage 5 represents the late 3rd millennium, and stage 6 represents Old Assyrian ductus of the early 2nd millennium, as adopted into Hittite. Stage 7 is the simplified sign as written by Assyrian scribes in the early 1st millennium, and until the script's extinction. It was originally a simple spatial pictorial text intended for the use of the wide population, and should not be confused with the alefbeg or alphabet - Davis and Zur in the Phoenician Letters. This was described as the speedy (pen and ink) writing of Enoch and used strictly in house by the Anannage administrators from the earliest times, until delivered to the Greeks by the Northern European Druids (people of the God An) around 700 BC. The Greeks adopted this alphabet for the whole population within one hundred years – Martin Bernal in Black Athena. To understand the written history of the past it was necessary to realise that cuneiform had evolved from the earliest simple picture signs of which there were well over four hundred examples, and that this was where accurate translations had to start. The Reverend Professor George Barton from the Quaker Bryn Mawr College in Pennsylvania was the leading cuneiform specialist from around 1890, who was given the task of translating the great archaic cuneiform discoveries found in the excavated remains of the Sumerian Nippur temple library by Professor Haynes and his team from the University of Pennsylvania 1896-8. Barton had established and obtained formal acceptance that the origin of cuneiform started with the archaic Indo-European people’s picture language. The earliest examples of this, unknown by Barton at the time, being the Ice Age carved picture symbols, and the widely used Schmandt-Besserat fired clay commercial tokens, first used at the oldest recorded town of Jericho from 9,000 BC. Good later examples were the Phaistos Disk (story from Garden of Eden), Pacific Talking Boards, Indus Valley script, on textiles from Pachcamac in Peru and Mexico, together with objects found in the Southern United States by Hyatt and Ruth Verrill. However, even Barton the pioneer, had great difficulty in understanding anything more than some 20% of the basic cuneiform words, and fell into the same trap that we still see today of putting religious or cult interpretation on key historical records, where none originally existed. This is best demonstrated on the accounts of the story of Kharsag, later known as the Garden of Eden (missed by Sitchin), with Barton describing these cuneiform tablets as incantations and hymns. Nippur Archaic Cylinder - To judge from the script, the Nippur cylinder illustrated on this plate (8383 in the Nippur collection of the University Museum) may date as early as 2500 BC. Although copied and published by the late George Barton as early as 1918, its contents, which center about the Sumerian air-god Enlil and the goddess Ninhursag, are still largely unintelligible. Nevertheless, much that was unknown or misunderstood at the time of its publication is now gradually becoming clarified, and there is good reason to hope that the not too distant future will see the better part of its contents ready for translation - From Sumerian Mythology by Samuel Noah Kramer 1963. 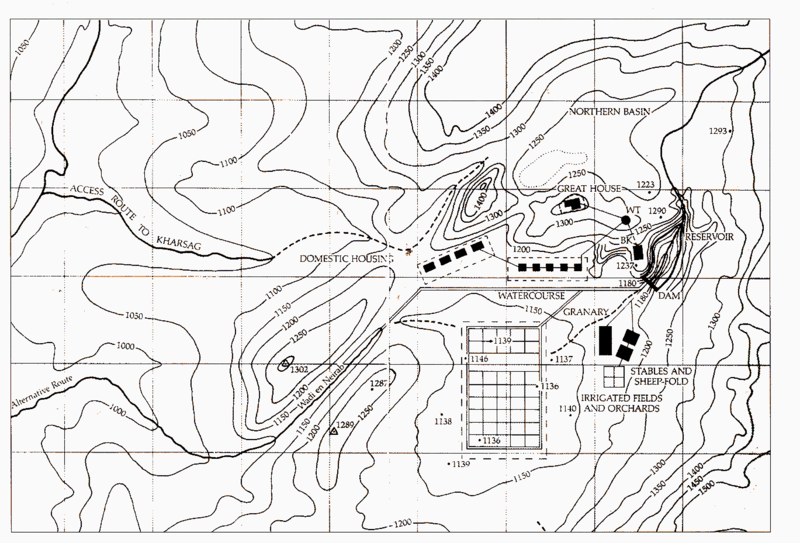 Outline Contour Map of the Rachaiya Basin with Speculative Placements of Structures mentioned in the Kharsag Epics – Features not to scale (p. 315 Genius of the Few) - The Great Watercourse (river that went out of Eden to water the garden in Genesis) is shown running East–West from the Dam Wall Overflow to the Outlet into Wadi en Neirab. 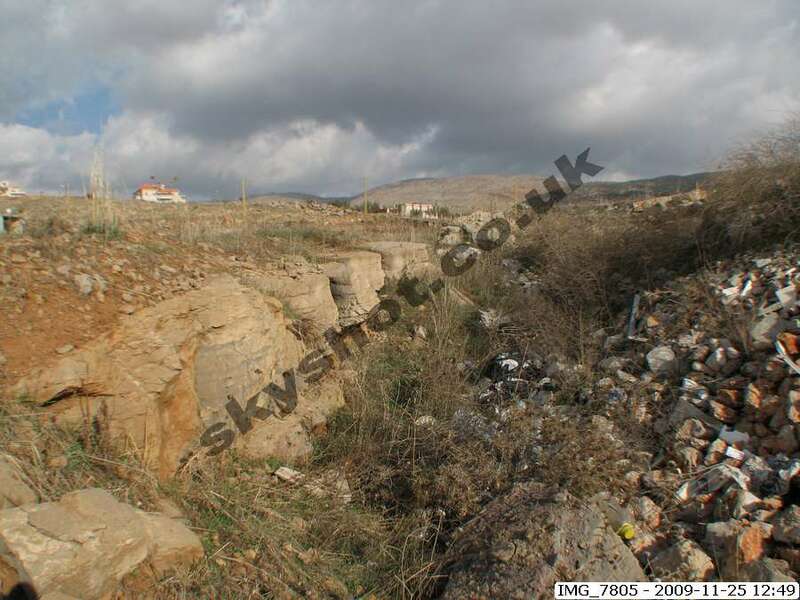 The 2007 Google Image (below right) shows the remains of this watercourse and other features identified and described by O’Brien, now confirmed by our site inspection. And the Lord God planted a garden eastward in Eden; and there he put the man, whom he had formed. And out of the ground, made the Lord God to grow every tree that is pleasant to the sight and good for food... And a river (water course) went out of Eden to water the garden; and from whence it was parted (sluices), and became into four heads (irrigation channels). The name of the first is Pison...And the name of the second river (channel) is Gihon...And the name of the third river (channel) is Hiddekel; that is it which goeth towards the east of Assyria (text written after Assyria founded). And the fourth river (channel) is Euphrates. - Note: names probably used for rivers much later. It took another great linguist Sir Alan Gardner to tell us that the Egyptians did not have a word for religion; the nearest word was heka meaning magical powers. Religion as we know it did not exist in the ancient secular times of the City State system of administration. Freewill, the truth, the secular pursuit of knowledge, individual levels of consciousness, and contributions to the community, were ordained as the priorities by the Divine Council of the Anannage. The people had to live up to the good examples set by the Gods. The Gods raised up humans to their high standards, they did not enslave them. Administrative centres were temons, from which evolved temples. Gardner was followed by the great explorer and linguist Lieutenant Colonel L.A. Waddell, who amongst many ground breaking discoveries linked both the Indus Valley civilisation and ancient Britain to pre-Sumerian origins. He placed the original home of the British, Irish, Scots, Welsh and Germans to the Land of Cana’an, home of the later Phoenicians. Waddell also established that the first Sumerian king was dated to 3,378 BC. Sumeria being formed from a confederation of existing City States. He effectively demolished the credibility of the Cambridge translation by Professor Langdon of the Isin period cuneiform chronology texts, which put the Sumerian kings back to 241,000 years before the flood. Of great additional importance, Waddell established the credible dates for Sargon 1 to 2,725 - 2,671 BC. This helps to verify and support Terrien Lacouperie's detailed descriptions in the Western Origins of Chinese Civilisation of the migrations from Sumer down the length of the Silk Road to China, led by Sargon (Shenong) around 2,700 BC following severe desiccation of Mesopotamia. Vedic records are shown to post date Sumerian history. Sitchin based some of his key work on profoundly speculative dating, which is no longer credible in the light of current scientific, archaeological and geological knowledge. Recent research has demonstrated the errors of attributing different Aryan and Semitic invasions, or occupations, to the wider area of Mesopotamia and the Fertile Crescent in early times. A wide spectrum of what is inaccurately called racial groupings lived in these areas peacefully and happily for very long periods, as the Holocene populations evolved and expanded under a favourable climate and maximum utilisation of resources under the City State system of social organisation before 4,200 BC. There were no divisions or differences then between Aryans and Semites. The First World War virtually put an end to cuneiform translation with the deaths of so many young scholars, and it was not until the 1950's that people like Samuel Noah Kramer began to restore progress. Sitchin drew heavily upon Kramer’s accounts of Sumerian sophistication. Only one man really sorted out cuneiform origins by starting from the beginning and ignoring academic protocols and religious prejudice. He took a common sense secular approach and this has provided us with a down to earth and accurate version of these incredible historical events with his books the Megalithic Odyssey, Genius of the Few, the Shining Ones and the Path of Light. His name was Christian O'Brien and after a career as a leading exploration geologist and retiring from being the head of the oil operating companies in Iran in 1971, he set out with his wife Barbara Joy, to recover past knowledge until his death in 2001. It is notable that both Sitchin and O’Brien amongst others had the vision to recognise the essential fact, that there was a brilliant advanced civilisation in the past, led by the Anannage (O’Brien’s correct translation). 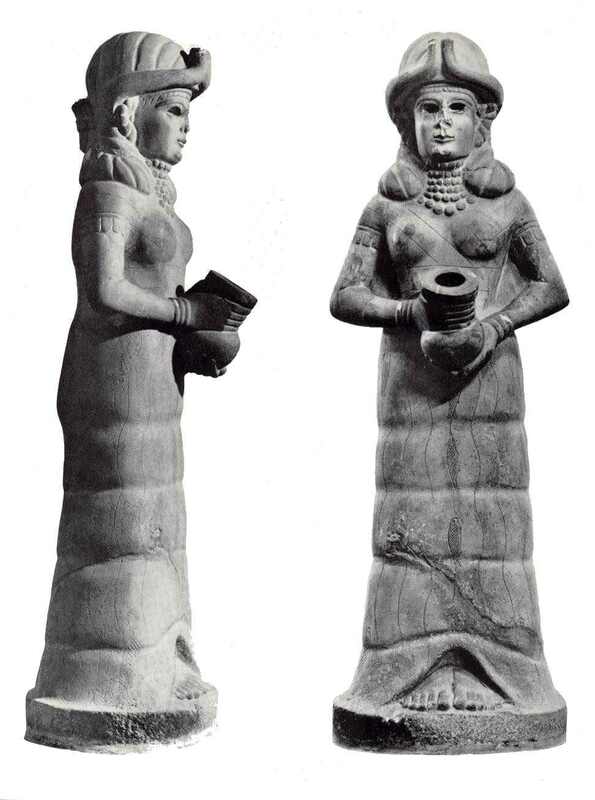 Both deserve our full attention and respect in the recovery of our incredible history, free from man made religious constraints, and the constant abuse of adjectives such as serpent, meaning wise man or woman, and not snake or reptilian, together with semitic and aryan dealt with earlier. Sitchin's translation problems and journalistic imagination have produced a range of extraordinarily detailed best selling books, which have excited a wide audience, but have failed to give the fully referenced support and obvious accuracy needed for credibility. O’Brien takes the scholarly multi-disciplinary analytical approach, which features an alternative translation of the early chapters of Genesis dealing with the bright ones in the planted highlands, rather than God in Heaven, together with a thorough re-assessment of the Books of Enoch, and the detailed clarification of the Kharsag creation stories, which Barton described as the oldest religious texts. O’Brien provides the clear links between these key records and background of logical analysis and accuracy of content, which makes real sense and allows so much more knowledge to be recovered from what can best be described as an essential road map of time. Additional research has shown that our brilliant ancestors had been able to survive both the 10,850 BC global cataclysm, which has been described as the biggest mass extinction for 3 million years, and the consequent Great Younger Dryas Ice Age, so that when the planet began to warm up around 9,400 BC, succeeding generations were able to start again. A small group of survivors led by An, Enlil, Enki and Ninkharsag created the Garden of the Gods in a crucial glacial refuge, irrigated by a critical snow melt water supply, shed from the flanks of Mt Hermon. 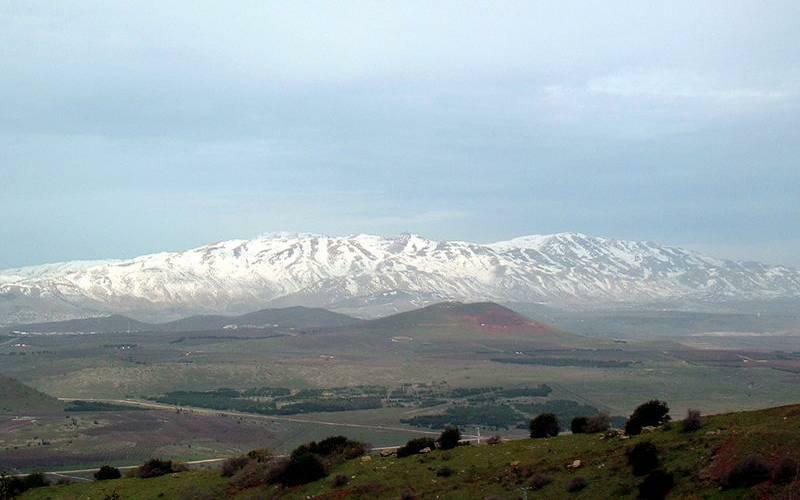 Below - The perpetual snow of the Mt Hermon range forming the Lebanon Syria Border as seen from Mt. 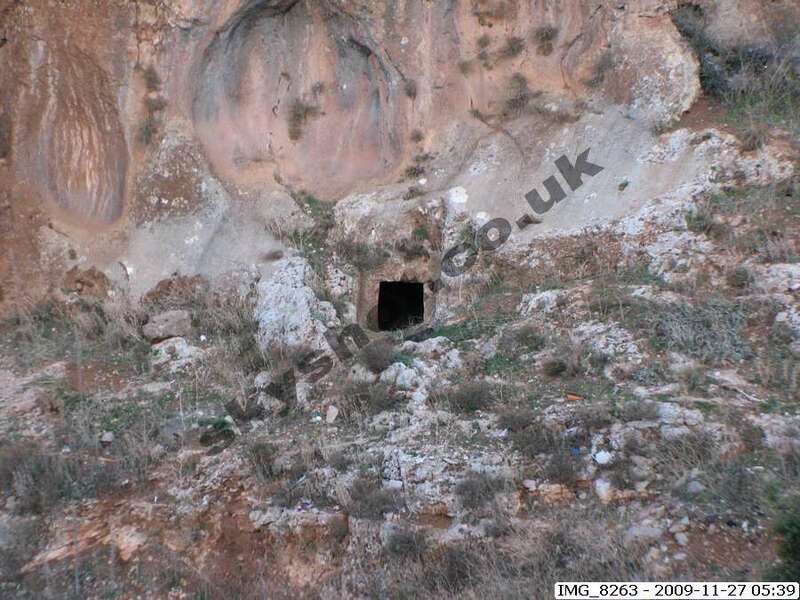 Bental in Israel across the Bekka Rift Valley The highest point is 2,814 m (9,230 feet) – Mount Hermon was called Senir by the Amorites, Sirion by the Sidonians, Ba'al-Hermon by the Canaanites and also Mount Sion or Siyon in the bible. 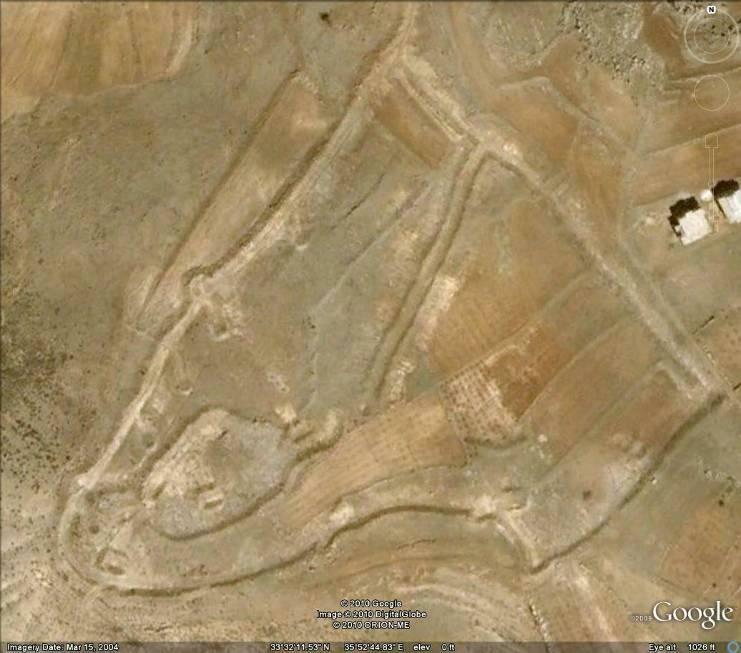 Google overhead of the site of Enlil’s E-Kur Great House described in the Kharsag Epics as the great cedar built house within the sanctuary and lofty enclosure perched on the high rock. The banks of the great watercourse shown by the yellow silt below are currently being destroyed by farmers using bulldozers to create small ponds and orchards along the length of the one and half mile section. White stone statue of the Lady Ninkharsag (mari locally, mama in Accadian, Isis in Egypt, and the mother of Inanna), in the guise of the Goddess of Irrigation, found during excavations at Mari (Tell Harari) on the Upper Euphrates in Syria, now on display in the Aleppo museum, Syria. She was the daughter of Anat wife of An, who was the leader of the Anannage. It had been placed in the centre of the two hundred acre administrative centre of one of the Golden Age’s great trading City States on the Euphrates 150 miles north of Babylon. A city dedicated to her around 4,500 BC, as the figure head of the early goddess culture. From the bowl flowed a fountain into the pool surrounding the statue. Contrary to speculation she is not wearing a space helmet. With this Settlement will come prosperity; an enclosed reservoir – a water trap – should be established. 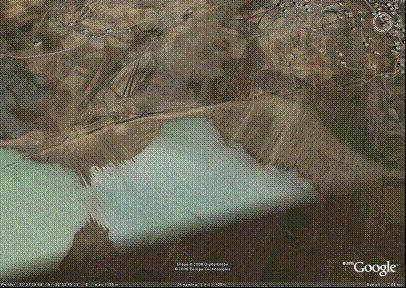 The good land is full of water; because of the water, food will be plentiful - The Lady Ninkharsag - Kharsag Epic No.2. 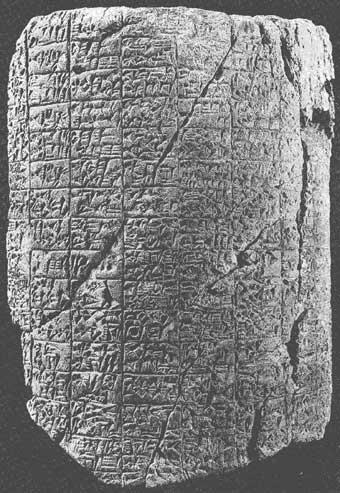 – Translation of archaic Sumerian cuneiform recovered from the remains of the Nippur Library in 1896. 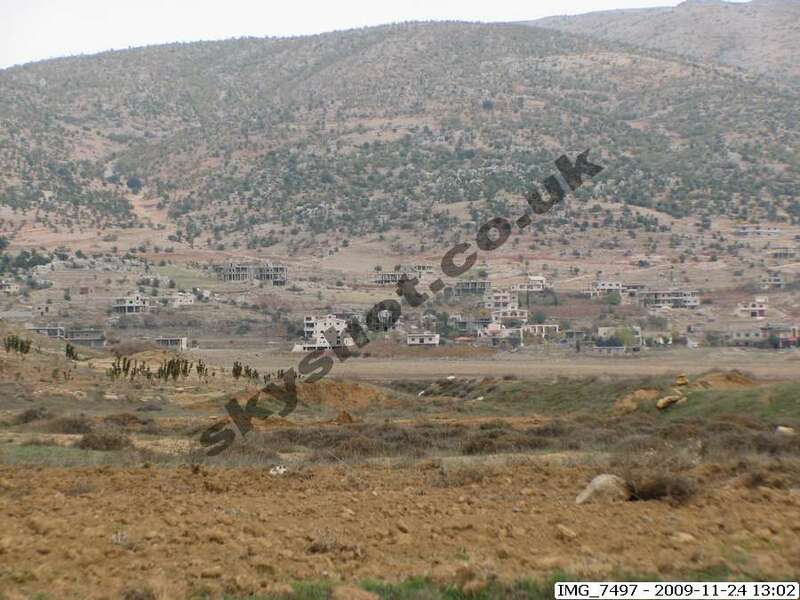 Their detailed recorded history of the Garden of Eden, in Southern Lebanon, below Mt Hermon, which they called Kharsag meaning head enclosure. Below - The only feature which might possibly have provided an overflow or water diversion mechanism at the base of the original reservoir - This valley joins the Watercourse and takes water from the Western flanks of the Mt Hermon range. 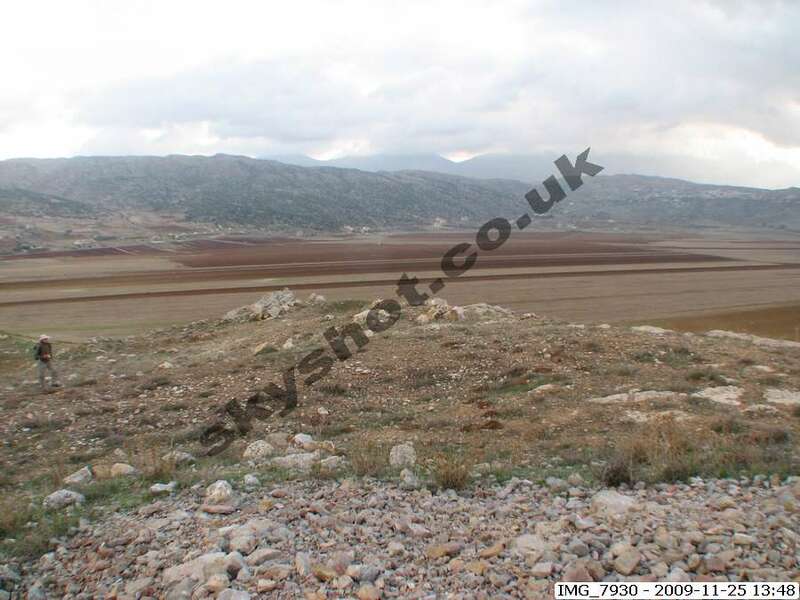 The Cuneiform and Enochian records confirm that a dam was built here to create a reservoir. Calculated to cover more than fifty acres, providing water for irrigation during the dry Summer months.